Our nation has been gripped in recent months by stories of sexual harassment of women by men in power. As citizens, we may find ourselves horrified by these stories, (possibly) reliving our own abuse, whether the abuse is emotional, physical or sexual. It is a demanding time for women (and men) across America, as we struggle with trying to understand how it is that we have not come further in our development and growth for acceptance and respect of others. How does this happen? How is it that we are in the 21st Century and we still struggle with treating women with respect? Human behavior is a multi-faceted and complex phenomenon. We are socialized by our biological parents to accept a certain set of schemas (mental representations for what we know to be true) for how we view the world. Common examples of schemas are ‘blue for boys; pink for girls’, or, ‘boys play with trucks, girls play with dolls’. Parents model the behaviors they want their children to learn, hence, the phrase ‘children learn what they live’. Gender Roles show us that men and women have innate differences in how they respond to situations. Men are typically more linear in their thought processes and narrower in their focus, so they are able to dissect a problem into different parts and try to solve the challenges. Women more often see the problem holistically and are able to come up with an understanding of the situation without needing to know what the different parts are. Social psychologists have reported that men and women tend to seek different things in their work. Men want to have a job that pays them well, is secure and provides prestige. They are often happy working with things rather than people and do not mind risk. Women tend to be more concerned with self-expression and creativity, want to work with people rather than things and to be helpful to others. As a result, women often tend to seek different occupations…that allows them to work with people. Women also do more of the caretaking roles in the home. Studies show that, on average, women complete 40 more tasks (in the home) per day than men; and many of those tasks are completed before 9 A.M. The evolutionary approach to psychology is an approach that emphasizes the inherited, adaptive aspects of behavior and mental process we adopt for human survival. The evolutionary approach assumes that the behavior of animals and humans today is also the result of evolution through natural selection. When looking at human behavior from this approach, one may see aggression, as a form of territory protection, and mate-selection preferences as reflecting different ways of helping one’s genes to survive in future generations. This evolutionary approach is hard wired into our psyche. We don’t think about it…it is just is. The behaviors we exhibit and learn during our formative years are a result of our internal wiring. Males are rewarded for their aggression: be tough; make the tackle, etc. Male aggression may show up in adult with phrases such as: ‘hit ‘em hard (football)’; ‘I’ll get it if it’s the last thing I do’; ‘I worked my tail off for this’. Women, on the other hand, are socialized this way: be nice, help out. Don’t be mean to others. Be kind to others. Men and women then take those rewarded behaviors into adulthood. In adulthood, female messages may sound like: ‘Have you asked Sue to come along?’; ‘You need to pick up the kids’; ‘I’m running errands and need to get home to fix dinner’. Keep in mind that one can never say a certain behavior is 100% for men or women. The human species is imperfect. There will always be (at least a few) men or women who defy the norm in a healthy, productive way. Culture is the accumulation of values, rules of behavior, forms of expression, religious beliefs, political beliefs and occupational choices for a group of people who share a common language and environment. This could be the ‘nurture’ part of ‘nature and nurture’. Culture is an organizing and stabilizing influence. It encourages or discourages particular behaviors and mental processes. 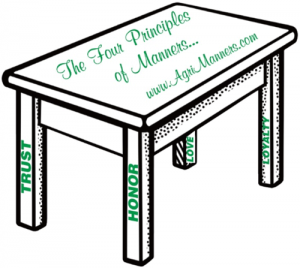 It also allows people to understand and anticipate the behavior of others in that culture. It is a type of group adaptation, passed along by tradition and example. For example, culture will determine whether children’s education will focus on skill sets or reading, how close people stand to one another when talking or how people behave within large groups of people. 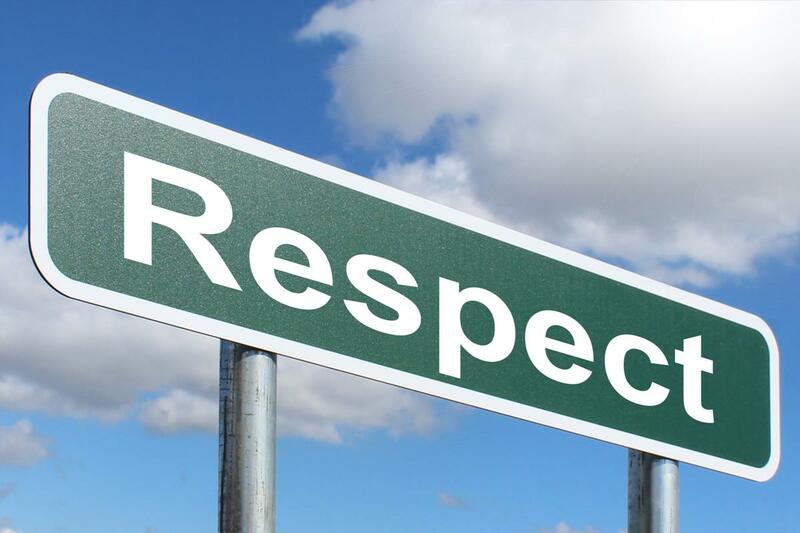 Respect is a positive feeling or action shown towards someone or something considered important, or held in high esteem or regard. It conveys a sense of admiration for good or valuable qualities. It is also the process of honoring someone by exhibiting care, concern or consideration for their needs or feelings. Any time we minimize someone’s feelings or experiences, we are disrespecting them. In today’s complex world, gender roles are shifting. Cultural norms are evolving to meet the demands of two earner families and more women in leadership roles. These are very good things. The evolutionary perspective still fundamentally influences our culture, whether we realize it or not. Violence against women is a manifestation of historically unequal power relations between men and women. When men are accustomed to earning more money, dominating the history books, having more to say as elected officials about which laws are passed and enforced, having the sole right to the pulpit as priests, etc., might that not contribute to a sense of great entitlement to take what one wants? We need to take a hard look at every institution to challenge inequities and teach people differently, beginning at the earliest ages. 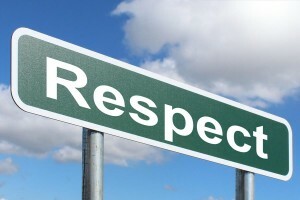 All people deserve respect. Women deserve respect. Honor and respect the women (and men) in your life. "...thank you for sharing your time and talent with our membership. We appreciate it!"